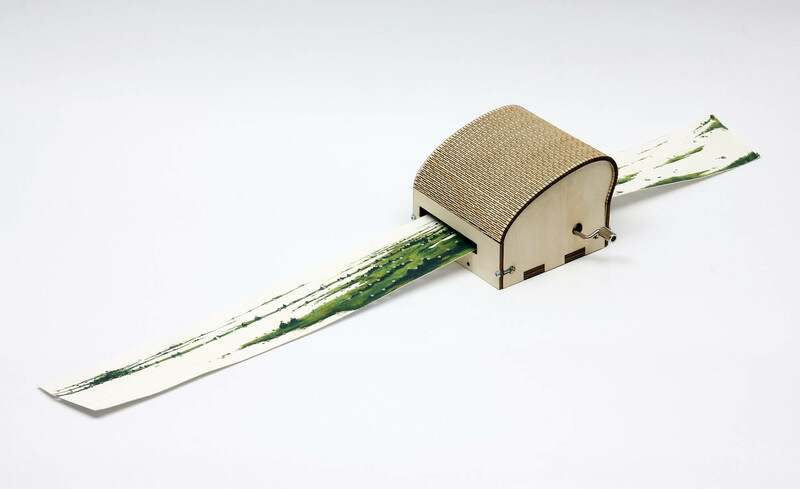 The Soundscape Instrument is an object that translates painted landscapes into sound. 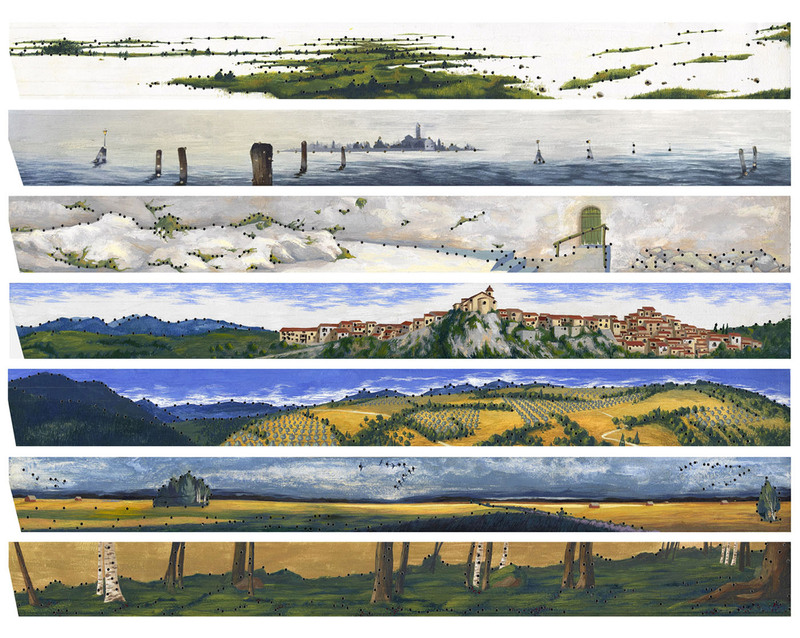 The ‘scores’ are detailed gouaches on paper of actual panoramas, which subsequently are perforated following unique features of the landscape. 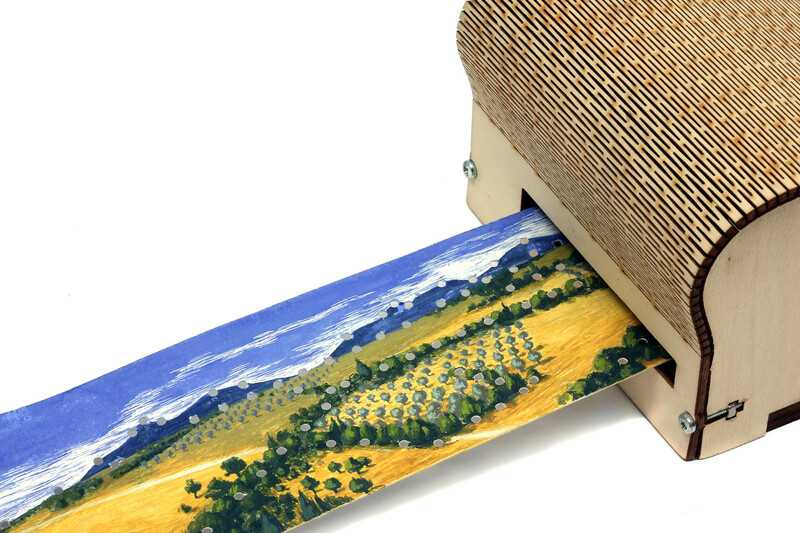 Once perforated the painting is played via the music box. The process of creating each painting/score goes from the visual to the audible, thus the resulting sound is not composed in the traditional sense, but generated by the image via a translation process, which makes it legible by the mechanism. The instrument can produce 30 chromatic notes, but the resulting melody is not tonal since it does not follow any music theory concepts. Each painting contains in itself 4 different melodies, as each painting can be played in 4 different ways/directions. At this time, the project consists of 8 different landscape-scores. This series is a work in progress, evolving with every new place that I experience, thus becoming a polyphonic illustration of all the spaces I inhabited. I look at it as a translation project, one that reveals an unexpected synchronicity, not only between visual and audible perception, but also between nature and culture.